There are some artists among us who don't not sell art because nobody wants to buy it, but because they don't want to or cannot "let go of their art." I am one of them - but I think today I have found the solution on how the let a work of art go to another person, on its own journey, as it were. 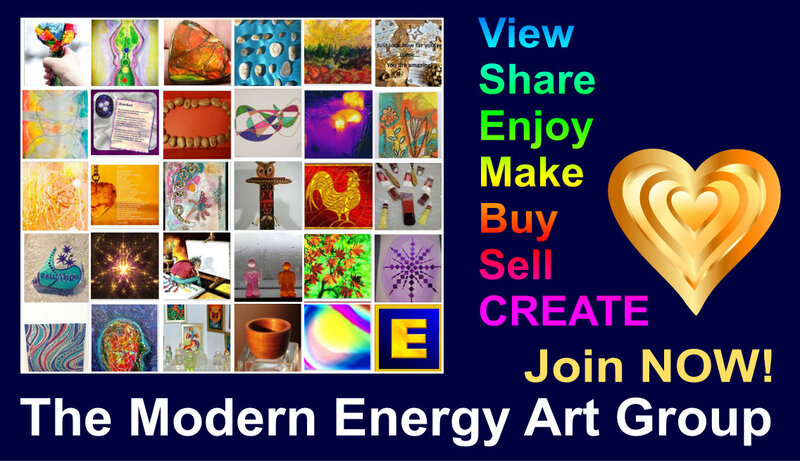 First posted to Guild of Energists: Art & Magic group. I made my version of the traditional housewarming snail for Stephen Kent's first official home last week. It's hand shaped aluminium mounted on Baltic amber and I love it. 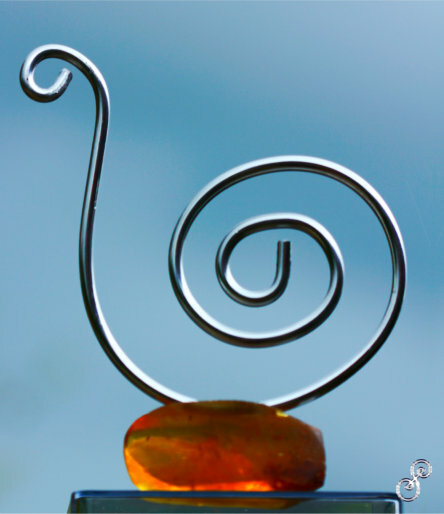 A perfect "art and magic" energy object, simple as it may seem. Tune in, check it out, it's very interesting. I think I solved the problem of "letting art go" with this one too. When I make something, I make it with a tremendous amount of attention and love. Can't do it any other way. And when you do that, you create an energetic entity and you have a powerful relationship with it. The more energy you put into your art, the more you love it, in a direct cause-and effect relationship. I put a huge amount of energy into this simple object, also physically, as bending the aluminium rod by hand was right at the edge of what I can physically do with maximum effort and took a long time. And when it was finished, I became aware that I wanted to keep it. Of course you do - adopt a kitten or such, create a relationship with it, and then try and give it away, it really isn't as easy as it sounds! I consoled myself by taking lots of photographs of and wrapping it with extreme care but I could tell I wasn't happy. But then came time for handover. And there, I "got it." I handed it over ceremoniously, energetically, with a speech and that "released it" to its new owners. It was a relief, and it was perfect, and I don't miss the snail now or suffer from bereavement or regret that it isn't here. It's that "hand over ceremony" that makes it work. And now I know and understand why aspects have always refused to sell art on the net, or by mail order, or even through galleries. Anonymously. That doesn't work for such objects. Now of course these things can be done energetically and by distance, but I had to learn first how to let it go, how you do that handover that moves the relationship with the object on to another level. Fascinating and what a prize!